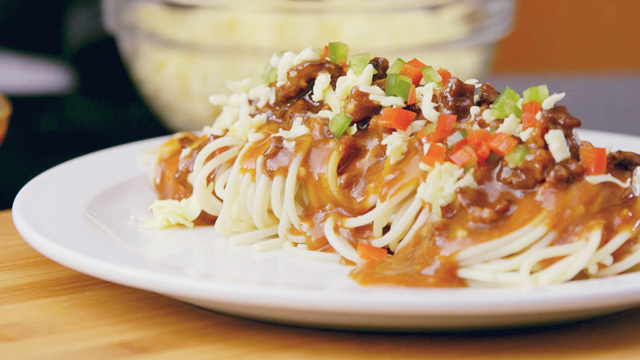 Spaghetti sauce makes a classic Pinoy flavor even better! Impress your family and friends with an extra special pasta dish: try this easy Pinaliyab na Kaldereta Spaghetti recipe. It combines classic kaldereta flavors—tender beef with a thick tomato-rich spaghetti sauce. This simple spaghetti recipe is one even kitchen newbies can do: the steps are easy to follow and are fool-proof. It's also made better because it uses Royal Spaghetti, the high quality pasta for over 100 years, and the new Royal Sweet Tomato Basil Spaghetti Sauce. The rich thick spaghetti sauce has the right amount of sweetness and is infused with the captivating aroma of basil, which gives this Pinoy classic the Royal treatment. Royal Pinaliyab na Kaldereta Spaghetti recipe also keeps your budget in check. Ingredients are easily available in supermarkets or in your neighborhood palengke and are well within the P500-range. Without a doubt your family and friends will be impressed with your spaghetti dish, and will keep coming back for more. Try this spaghetti recipe soon? Cook ROYAL® Spaghetti according to package directions. Drain and set aside. In a very hot pan, pour the oil. Add beef and cook one side for about 3-5 minutes or until very brown. When browned, cook other side until brown as well. Add onions, garlic, and siling labuyo. Cook for 2 minutes then add gin. Tilt pan slightly to flame and cook the gin (careful as it flares up). Once flame is gone, add liver spread then pour ROYAL® Sweet Tomato Basil Spaghetti Sauce. Add water and simmer on low heat for 30-45 minutes or until beef is tender. Stir occasionally. Toss cooked ROYAL® Spaghetti in the sauce. Top with grated cheese and garnish with red and green bell peppers. 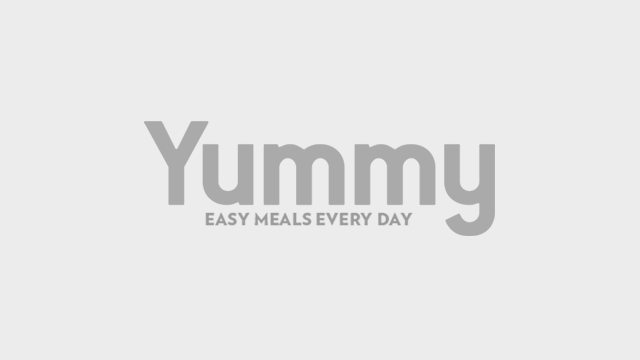 This article was created by Summit StoryLabs in partnership with Royal Pasta.